Peller Estates is an award winning winery located in Niagara On The Lake, owned and operated by the the Peller family who prides itself on a legacy of producing great wine in Canada. The wines offered at Pellar are unique and diverse and come in three series: signature series, private reserve and the Heritage Series. Additionally Pellar also offers Canadian Icewine, a wine produced with grapes picked on the coldest night of the winter to preserve the high sugar levels found in the grapes. The quality and commitment of Pellar is clear in its VQA designation. The 2006 Canadian Winery of the Year prides itself on producing some of the best wines in Canada. 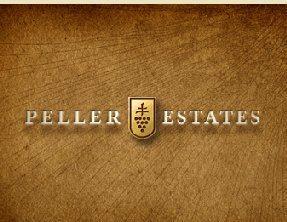 Peller Estates’ wines have been recognized for their quality and character. Hours of operation are extended in the summer. Peller Estates offers daily tours of the winery. Each tour is an hour long and starts on the half hour while the winery is open. Some of the best tours of winemaking can be found at Peller Estates. With a variety of options available at this award-wining winery there is a tour for everyone to enjoy.